It's that time of the week again! Twinsie Tuesday. 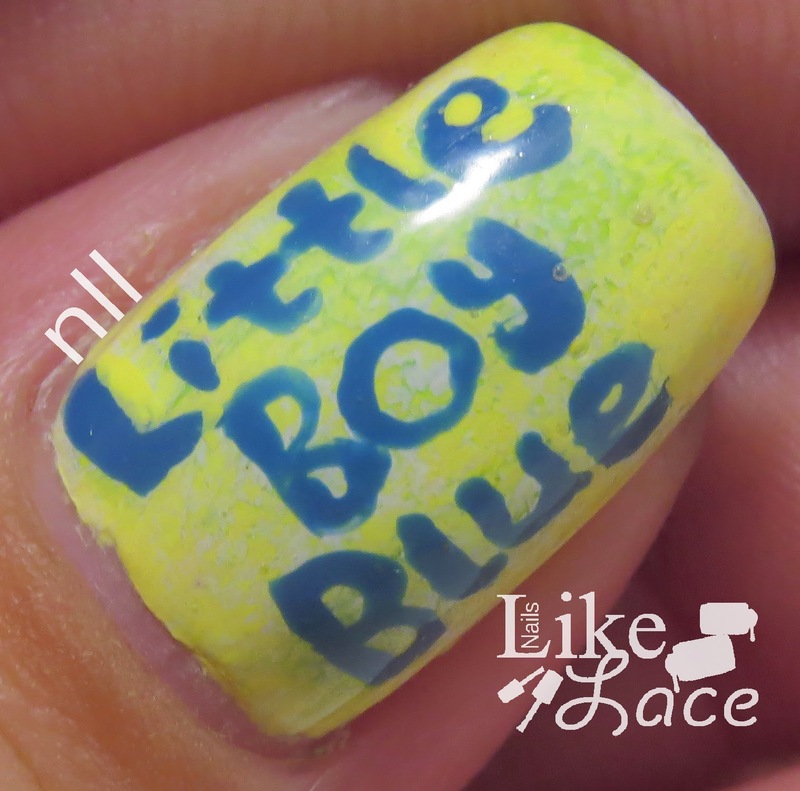 This week, we did manicures based on a book. Since my library consists of Biology 101, Intro to Psychology, SPA 300: Spanish Literature, and so on and so forth, clearly I wasn't excited to drone through for inspiration. Instead, I hit up Madison's bookshelf and discovered Elmo's Read Along Story about Little Boy Blue. It was the first book I grabbed, so I just went with it. 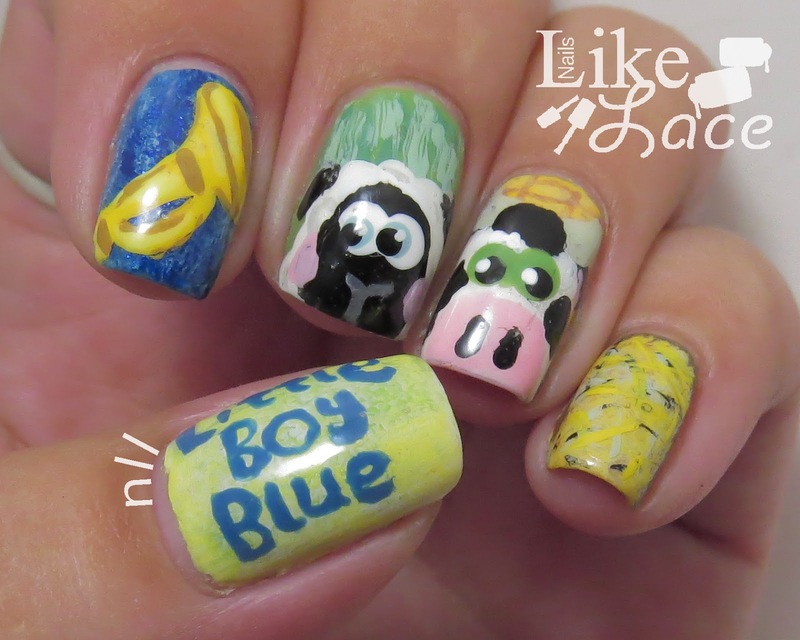 I picked a few pieces from the tale, one for each nail: the horn that Little Boy Blue.... well.... blew, the sheep in the meadow, the cow in the corn, the haystack under which Little Boy Blue was fast asleep, and finally the book's title on my thumb. Index: Zoya Breezi, Song, and China Glaze Kinetic Candy randomly sponged. 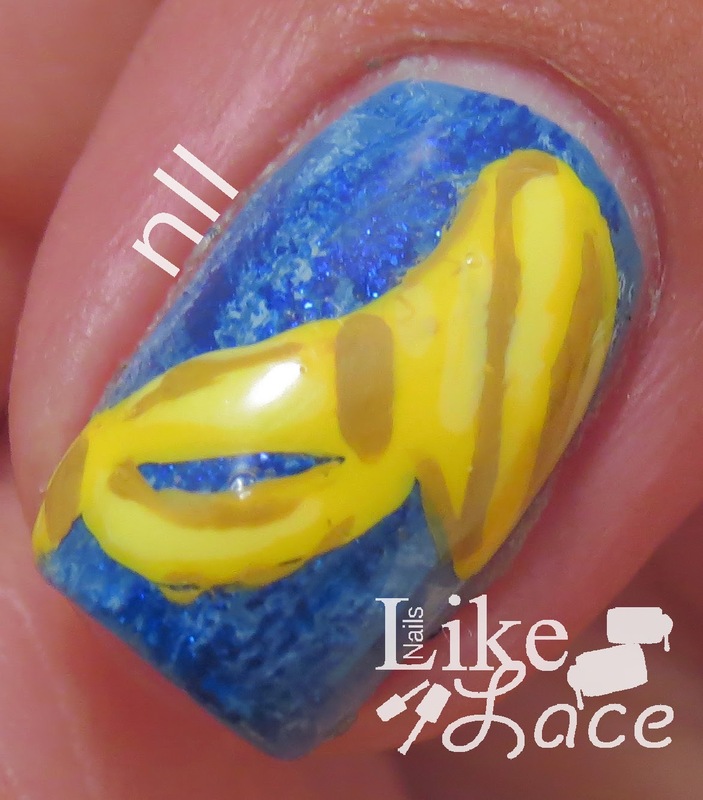 The horn is various mixes of Funky Fingers Alex's Lemonade with white and black. Middle: China Glaze Gaga for Green striped with a Gaga for Green and Breezi mix, and thinned white. 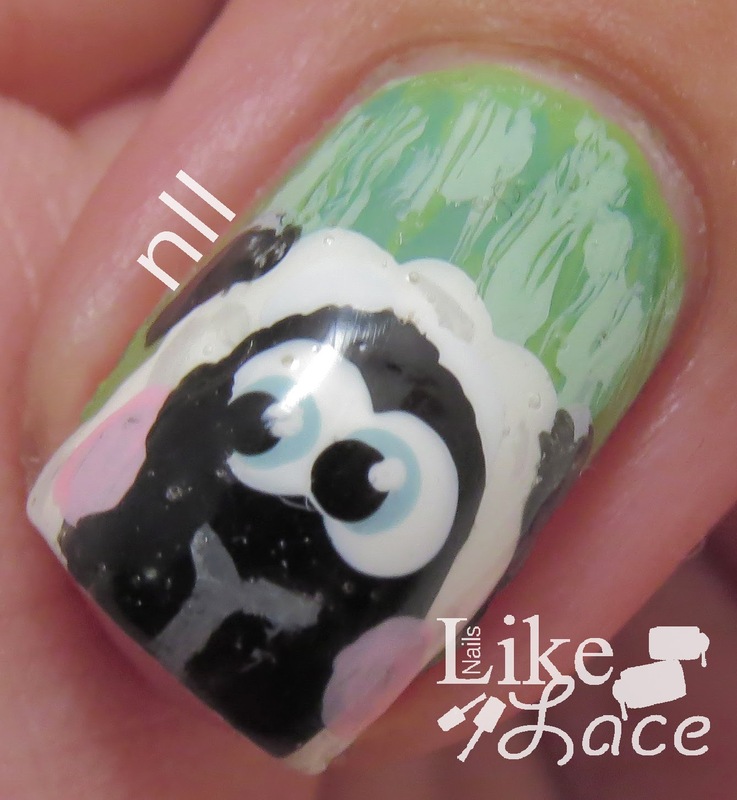 The sheep is Milani What on the Spot, Wet'n'Wild black creme, Wn'W Tickled Pink, and ChG Kinetic Candy for the eyes. 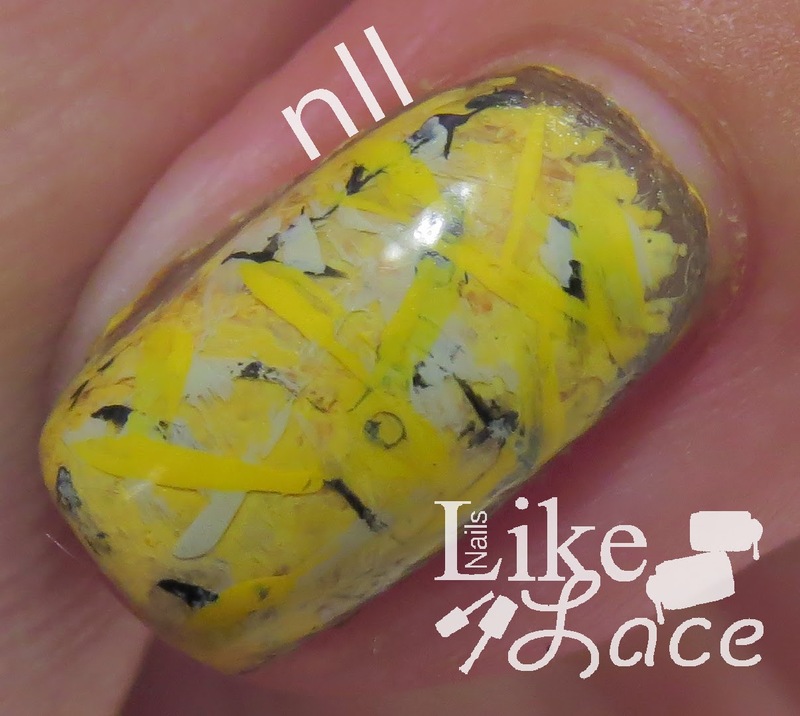 Ring: Funky Fingers Alex's Lemonade, WnW Beauty Benefits no-name yellow, Artmatic no-name mauve, and Zoya Dea. 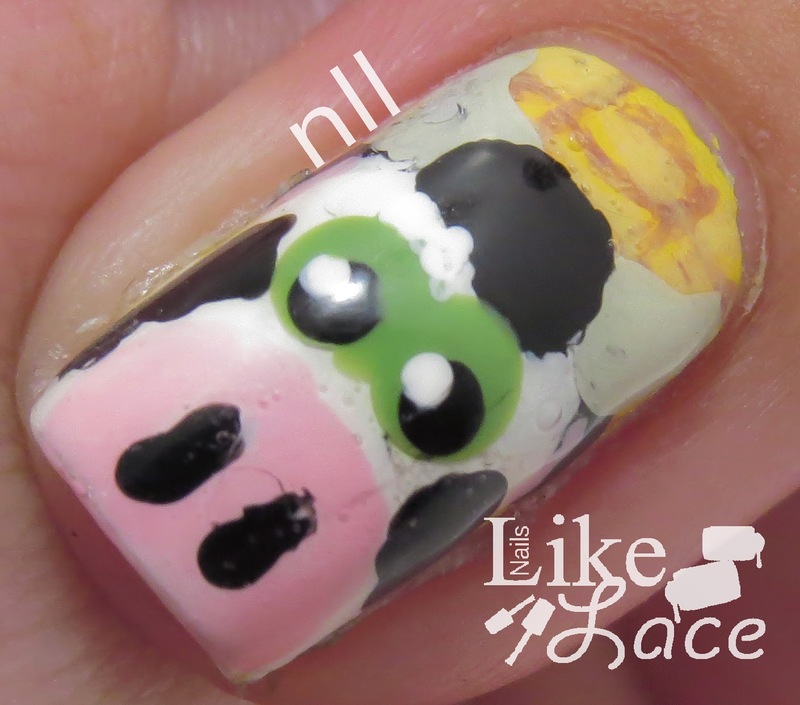 The cow consists of the previously mentioned white, black, and pink I used for the sheep. His eyes are China Glaze Gaga for Green. Pinky: Layers of stripes in all previously mentioned yellows, brown, and black. 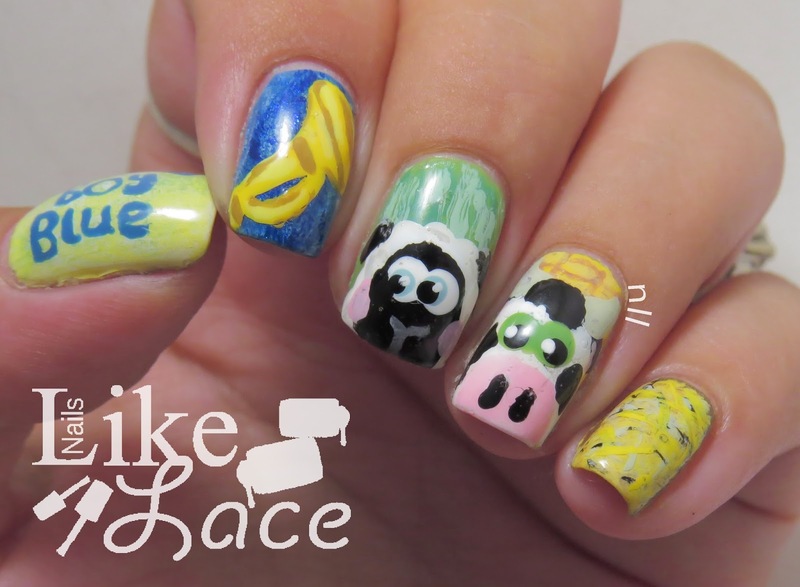 Thumb: Alex's Lemonade sponged with the no-name Beauty Benefits yellow and Gaga for Green, and the letters in Zoya Breezi. I have a feeling 50 Shades of Grey may be popular in the group this week.... Let's see if I am right!